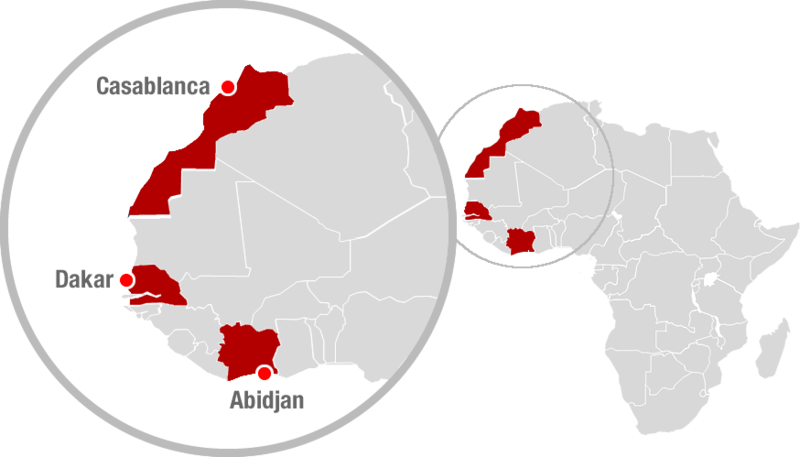 Ascent Capital Partners has a strong commitment to Africa through its three coverage offices in Casablanca, Dakar and Abidjan. Original platform founded in 2010, located in Casablanca and specialized in financial and strategic advisory. Composed of seasoned investment banking professionals with significant experience within large international financial institutions. Launched in late 2013 in Dakar’s city center, on Blvd de la Madeleine. Led by El Hadji Ahmadou Ba as Country Manager. M. Ba brings significant experience in corporate finance, strategic advisory and consulting. Operations launched in 2013 in Abidjan. Located in the Plateau district, on Avenue de la République. Currently led by Jean Paul Ndjemba as Partner and Managing Director. M. Ndjemba brings significant experience in many areas of the bank including corporate and investment banking.